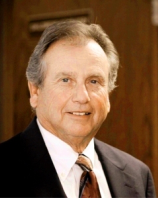 With more than 40 years of pediatric experience on the Central Coast, Dr. George Robertson M.D. has set a standard of excellence in local pediatric healthcare and our community stands stronger due to his caring and committed services throughout the years. After graduating medical school from the University of Ottawa, Canada, he completed his internship and 3 years of his residency in pediatrics at the University of Southern California located in Los Angeles. He served his fourth year of residency as Chief Resident at the University of British Columbia in Vancouver. Dr. Robertson is board certified by the American Board of Pediatrics. Together, with his wife Dottie, they have four grown children and are the grandparents to seven. He enjoys the ocean, golf and spending time with his grandchildren.